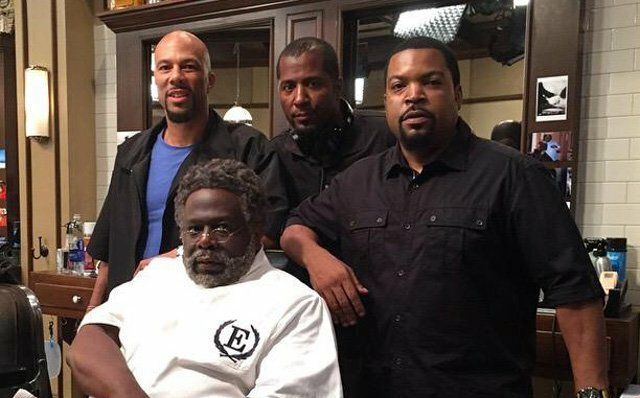 It’s been 11 years since the last “Barbershop” movie, but the first trailer for “Barbershop 3: The Next Cut” has been released, and fans are pleased to see that the gang is back together again. Ice Cube will be back as Calvin Palmer, along with his original cast, including Cedric the Entertainer as Eddie, Eve as Terri, Troy Garrity as Issac, Sean Patrick Thomas as Jimmy James, and Anthony Anderson as a slimmer J.D. This time, the gang has a new stop in Chicago, and along with a new Palmer’s joint barbershop/salon all in one come some new faces which include Nicki Minaj as Draya, Regina Hall as Angie, Lamourne Harris as Jerrod and Common as Jabari. There will also b appearances by Jb Smoove, Deon Cole and Tyga. While the trailer didn’t give away the full plot of the movie, fans of the series can be assured that no matter what happens, the gang will be back at it, just like old times. “The Best Man” Director Malcolm D. Lee will be directing the film, which is set to hit theaters April 15th, 2016.